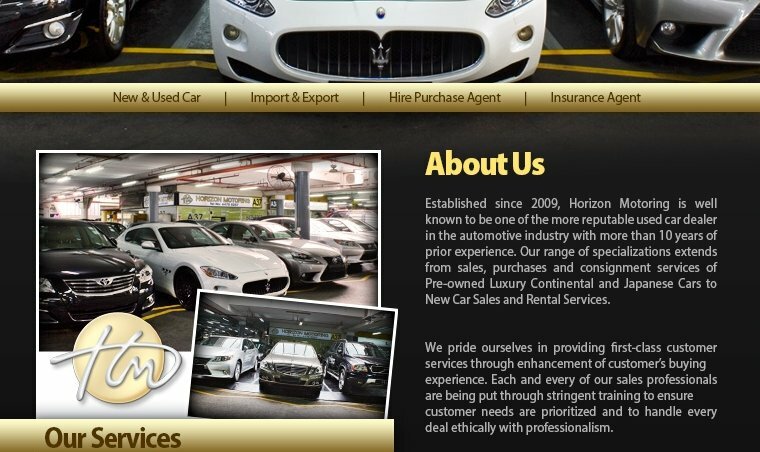 Established since 2009, Horizon Motoring is well known to be one of the more reputable used car dealer in the automotive industry with more than 10 years of prior experience. Their range of specializations extends from sales, purchases and consignment services of Pre-owned Luxury Continental and Japanese Cars to New Car Sales and Rental Services. Horizon Motoring pride themselves in providing first-class customer services through enhancement of customer's buying experience. Each and every of their sales professionals are being put through stringent training to ensure customer needs are prioritized and to handle every deal ethically with professionalism.